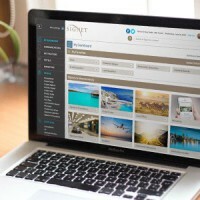 Signature’s customized technology solutions are considered the retail travel industry’s most sophisticated. SigNet is designed with our frontline advisor in mind, giving them access to Signature promotional offers, preferred supplier information, as well as the Signature calendar featuring supplier educational trips and trainings. 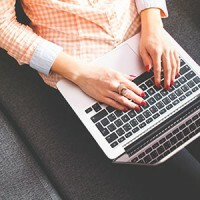 Signature University is also available, as is SigNet News, our personalized desktop news application that provides advisors with instant access to news posted by Signature as well as supplier news. Designed to work with ClientBase Res Cards, Client Reach sends customized emails on behalf of the travel advisor to their clients. Clients are sent celebratory wishes for birthdays and reminders to book shore excursions, pre- and post-hotels, travel insurance as well as “Bon Voyage” and “Welcome Home” emails. Each member agency can customize the program to suit their particular company and customer needs. Cruise Track’s proprietary technology allows Signature travel advisors to stay abreast of all changes for a particular cruise so that they can proactively notify their clients. Using Cruise Track gives the advisor the advantage of an early response time to changes in price or itinerary. 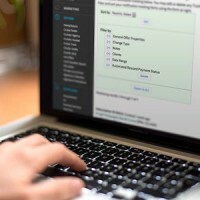 And it’s turn-key… tracking and notifications are created automatically based on the ClientBase Res Card information. 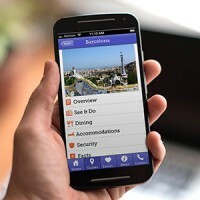 Signature’s proprietary mobile app, Pocket Travel Consultant by Axus can be used during the planning stages and while traveling. 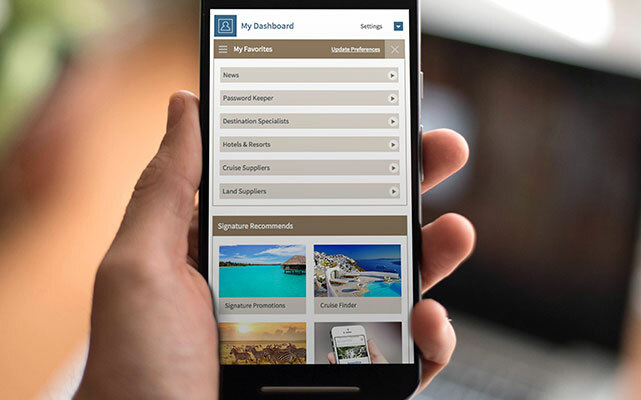 Signature advisors can create and send vacation itineraries to their clients that can be viewed online via a webpage or offline within the app. Customized with each member’s brand and call-to-action, the app reinforces the advisor-client relationship every step of the way.